Malaysia tourism attracts tourists everywhere because of the typical and diversified culture as well as the outstanding and modern buildings. Malaysia is not only famous for its magnificent towers or sanctuary mosques but also for the Petronas Twin Towers in Kuala Lumpur. This work was designed by the Argentine architect César Pelli and completed in 1998. Although it is almost 10 years old, the Petronas Twin Towers are never old … The Petronas tower in Kuala Lumpur is considered as the symbol of Malaysia. 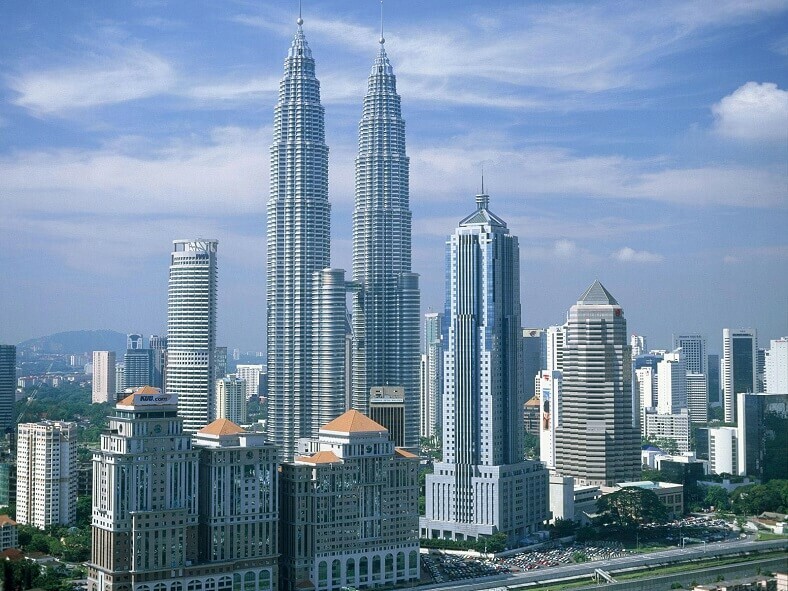 The Petronas Twin Towers were completed and put into use in 1998. It was the world’s tallest building recorded at that time, and currently, it still holds the record for the tallest twin towers in the world, with 88 floors and the height of 403 meters. As a symbol of Malaysia, you can see the image of the Petronas Twin Towers in any souvenir or tourist image of this country. Traveling to Kuala Lumpur, Malaysia, you can visit the Petronas Twin Towers during the day and when the tower lights up at night, as each visit has a different beauty. The tower is put on the land that used to be a racecourse. The Petronas Twin Towers consist of two high towers, and the block at the foot of the tower is the large six-story shopping mall called Suria Kuala Lumpur City Center. The building structure is mostly reinforced concrete with an excellent strength. The surface of two towers is completely made of glass and steel, designed based on Islamic art motifs, the main religion in Malaysia. Located right in the center of Kuala Lumpur, the towers will provide visitors panoramic view of the city especially when the street lights up brilliantly. And the bridge crosses two towers called the Sky Bridge. This is also a very impressive highlight of the twin towers. Thanks to its convenient location, the Petronas Twin Towers can easily be reached by public transport. There is also an underground parking lot. Guests can reach the top of the tower from Tuesday to Sunday, all day of the year. Visitors must buy the tickets, but the scene here is worth the money. The small caption “Kuala Lumpur City Center” after the name “Sky Bridge” is necessary because if you search for the term “Sky Bridge” on the internet, you will find articles related to the Sky Bridge in Langkawi archipelago. This bridge is quite well known in Malaysia. However, in this article, we only provide the information about the Sky Bridge at Petronas Twin Towers in Kuala Lumpur or briefly refer to as Sky Bridge Kuala Lumpur city center. Coming to the Petronas Twin Towers, visitors should definitely not miss the opportunity to cross this bridge between the two towers. As the name suggested the bridge with 170 meters high and 158 meters long is suspended in the air, located on the 41st and 42nd floor of Petronas Twin Towers, which is considered as the transfer floor because visitors who want to go up higher floors have to change elevators in here. For a chance to visit this bridge during your Malaysia trip, you must come here in the early morning because a lot of tourists came to queue very early. The number of people in each round is always limited to ensure the safety of the bridge. Everyday, there are a limited number of tickets issued for tourists and early arrivals will be given priority in advance and do not have to queue long. Every day, only 1,400 visitors are allowed to visit. The building is closed every Monday. This is an ideal place for visitors to take beautiful pictures of Kuala Lumpur City. 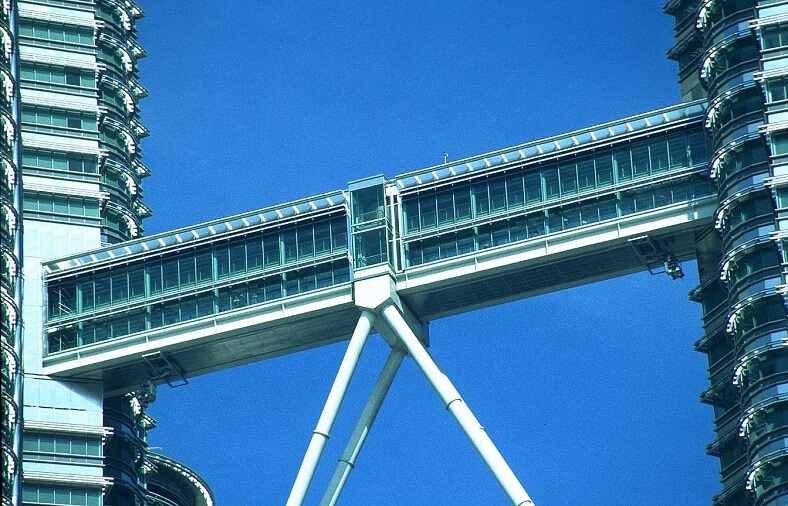 The Sky Bridge makes it possible for employees of the companies at the twin towers to move seamlessly between two buildings without having to go down to the ground. Therefore, on the bridge, you occasionally encounter employees of two towers talking to each other. In addition, this bridge also functions as an emergency exit. The bridge is used in cases of fire or emergency occurring on one side of the tower. On September 12, 2001, a day after the US terrorist collapse of the twin towers of the New York metropolitan WTC, Petronas Towers was also threatened to be bombed. At that time, a lot of chaos happened. In fact, if an emergency occurred on both sides of the tower, the bridge could not work as expected. After the Sept. 11 terrorist attacks, the bridge is no longer opened to visitors for free. With an ideal height of 170m above the ground, between the two floors 41st and 42nd, standing on the Sky Bridge gives the visitor a glimpse of the entire city of Kuala Lumpur. However, to reach this bridge, travelers have to queue up early in the morning. The entrance tickets are granted from 8:30 to 10:30 am. In the past, they were completely free but today, the tourists have to pay 10 RM/ticket (2.3$). With a short 15 minutes walk in the air and a great view, you will not regret queuing for hours. You can also climb up to the 86th floor (at an incredible height of 1,181 feet (360 meters) above the ground) to observe the city at a more comfortable way with 40 RM for a ticket (about 9$). Visitors will have the sight of miles away from all directions on beautiful days. Remember to go early in order to be sure to buy tickets of visiting the observatory, as only a limited number of tourists are allowed to enter the door every day and the tickets are usually bought very fast. 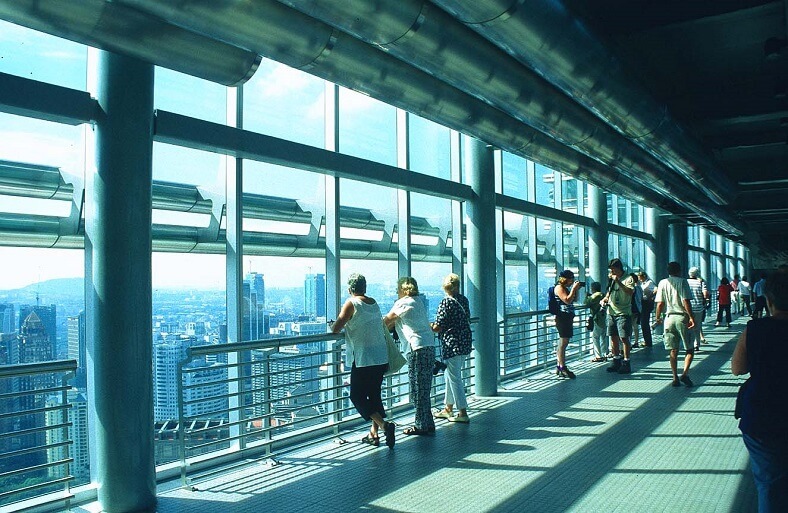 In general, the Sky Bridge, located on the 41st floor of the tower with a height of 10 meters, is the ideal viewing point. Therefore, do not forget to buy tickets to the Petronas Twin Towers in Kuala Lumpur to experience something new in here. 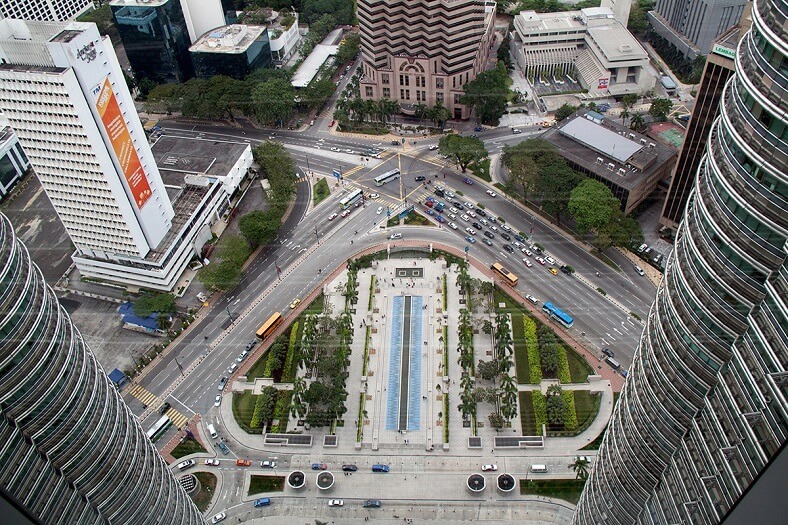 In fact, the Observation Tower and Sky Bridge will help you admire the panoramic view of Kuala Lumpur City. This is also an impressive viewpoint when looking down on the magnificent sight of the city from above. After returning to the ground, the tourists can explore the giant Suria Kuala Lumpur City Center Shopping Mall at the foot of the tower. Guests will find designed clothing retail outlets, technology and entertainment stores and dozens of eateries and restaurants. The shopping complex also has an aquarium, cinema, art gallery and the National Concert Hall. We hope that the above information will be helpful for you. 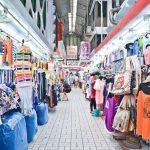 Do not miss the opportunity to explore this tourist attraction in Malaysia! 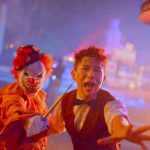 How To Have The Best Universal Studios Singapore Halloween Experience?